A Bill Gates-run investment firm is hopping on the thriving smart city trend and recently paid $80 million to acquire 25,000 acres of land in Arizona with plans to build a technologically-integrated community from the ground up. Gates sees the city, tentatively named “Belmont,” as a chance to build information networking into the bedrock of any future development there. "Belmont will create a forward-thinking community with a communication and infrastructure spine that embraces cutting-edge technology, designed around high-speed digital networks, data centers, new manufacturing technologies and distribution models, autonomous vehicles and autonomous logistics hubs," said a representative from Belmont Partners, Gates' Arizona-based real estate investment group. Currently an undeveloped patch of desert 45 minutes west of Phoenix, the future of Belmont might hinge on old-fashioned infrastructure. While currently without water or electricity, the city’s growth would also be driven by the completion of I-11, an interstate highway connecting Phoenix to Las Vegas, Nevada. While the highway is tentatively set to complete construction in 2018, no timetables for Belmont have been publicly announced yet. What has been laid out is how the land will be divided up. Out of the 25,000 acres, 470 will be used for public schools, while 3,800 acres will go towards retail, office and commercial space. The remaining land will hold 80,000 residences. Arizona is no stranger to utopian city projects. The iconic Arcosanti, only an hour north of Phoenix, was founded in the 1970’s with the intent of merging the built environment with the natural world. Sadly, Arcosanti’s ambitious goal of demonstrating the efficiency of a smartly planned city never quite came to pass. While still a learning space and monument to designer Paolo Soleri, Arcosanti currently only houses between 50 to 150 people at any one time. "Smart" planned communities have a history of going awry, and Songdo, South Korea is a prime example. Originally built as an interconnected smart city meant to lure international investment, the majority of residents are now South Koreans who have been priced out of Seoul. Despite the underground trash system and personalized language learning programming for residents, Songdo also remains sparsely populated. Only time will tell if Gates’ city will be an inclusive, holistically planned community, or just a test ground for Microsoft products. The visionary architect and artist Paolo Soleri has died. He was best known as the mastermind behind Arcosanti, the ongoing experimental community outside of Phoenix, Arizona. Arcosanti, which has been under construction for more than 40 years, embodies Soleri's idea of an architecture merged with the environment. 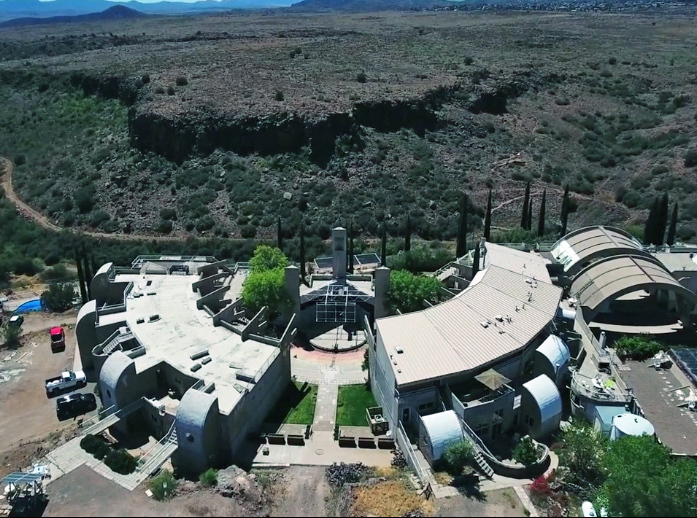 More than 7,000 architecture students have worked on Arcosanti, and more than 50,000 people visit the site every year. Though Soleri has been viewed as an almost mystical outlier in architecture, many of the design principles of Arcosanti mirror contemporary thinking in architecture and planning, including walkability, high density, diversity of uses, urban agriculture, and use of embodied energy. In addition to Arcosanti, Soleri designed buildings in Italy, New Mexico, and several sites across Arizona. According to the Cosanti Foundation, Soleri will be buried at Arcosanti following a private service. A public service will be held later this year. 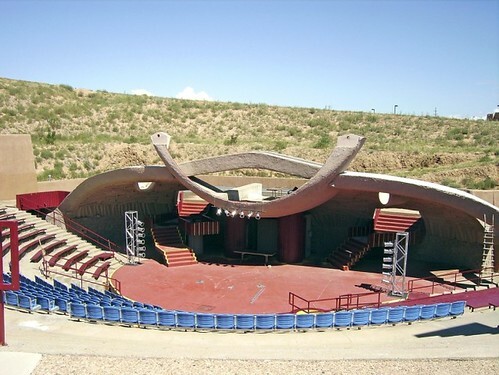 Save the Soleri Santa Fe Theater! The Paolo received a reprieve July 19 when Everett Chavez, SFIS Superintendent responded positively to an offer of help by New Mexico Senators Udall and Bingaman. A core of preservation advocates, including Indian School alumni, have worked out the petition linked below in the belief that we must not sit on our hands but urge the stakeholders and the purse-holders to join in establishing funding and a working relationship to ensure this unique venue's future. Funding is crucial; the Paolo lies on sovereign Indian land where most monies come through Federal appropriations. Please read our online petition and, if you agree with our position, add your signature and send the link to your friends, colleagues and students.